Patient, Client, or Consumer? In occupational therapy and other healthcare fields, there is a semantic controversy over what us therapists/the public should be calling those who utilize occupational therapy services. Depending on the label used, we get a different feel for the relationship between therapist/person. What do you think? 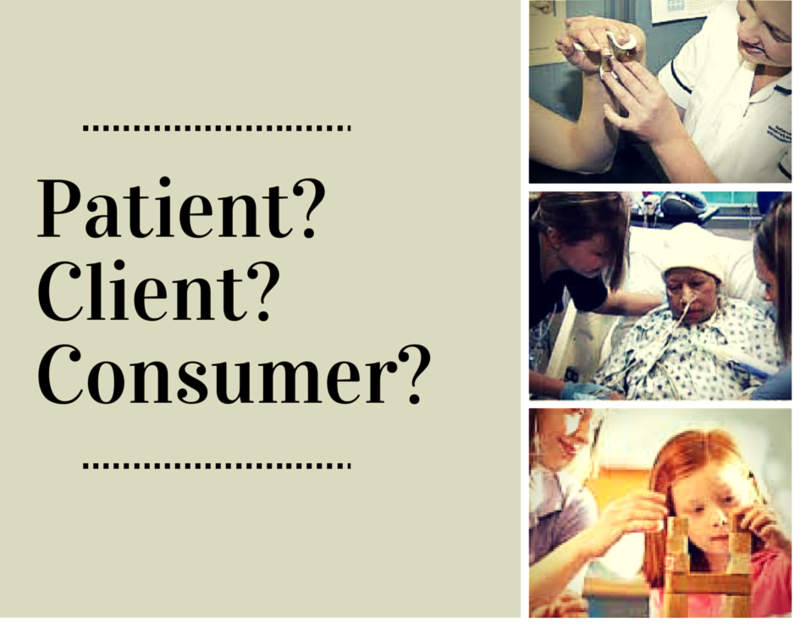 Patient, client, or consumer?